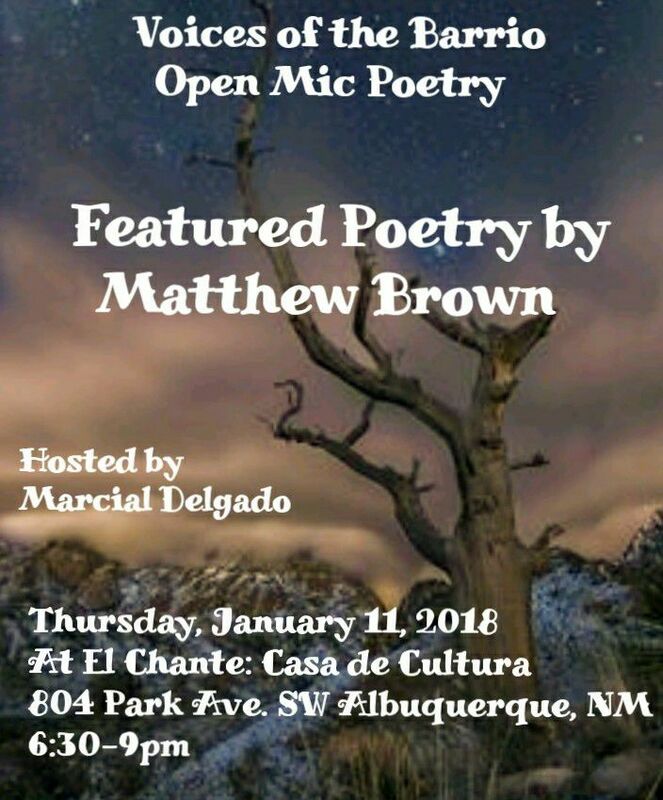 Come to El Chante: Casa de Cultura today, January 11, 2018 for the first Voices of the Barrio of 2018. The feature is none other than the fabulous Matthew Brown! Matthew Brown’s chapbook Verbrennan was release from Swimming with Elephants Publications in 2014 and is currently available at Amazon, Barnes and Nobel, and Bookworks Albuquerque.